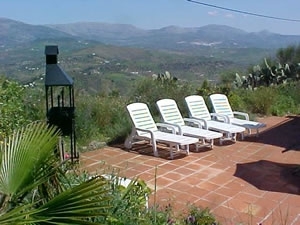 Relax with family and friends at our stunning country cortijo, Casa Los Petates. Enjoy 360 degree views from its many terraces, soak up the sun on our large roof patio, cool down in your own private pool, cook and dine outdoors, til late, in our fab BBQ area! 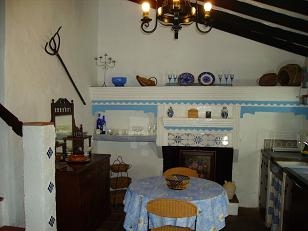 Casa Los Petates must rank as one of the best *reviewed houses in Andalucía! 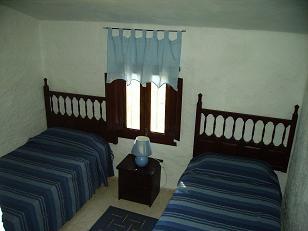 Clean, comfortable, affordable, character accomodation in a glorious setting, yet only 45 minutes from Malaga airport. *Reviews are available in house file. 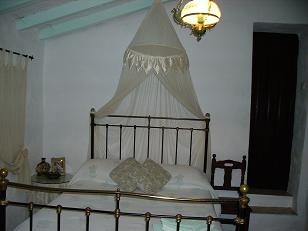 Or go online for a large range of comments at www.andalucianretreats.com click on Visitor log! Welcome to Casa Los Petates! 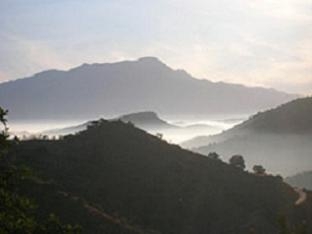 Experience the simplicity of every day rural life,(where traditional methods of farming the almonds and olives still exist, mules still plough and goatherds roam)! 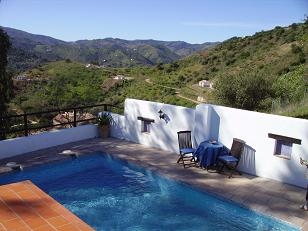 Whilst enjoying the temperate climate, the cuisine and friendliness of the Andalucian people. 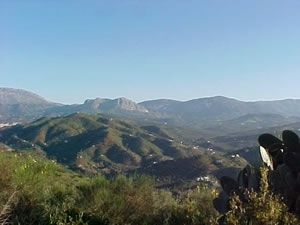 Originally built over 100 years ago, Los Petates Nestles on the edge of the sleepy Spanish hamlet of el romo it's elevated position provides panoramic views of surrounding mountains, villages and valleys. 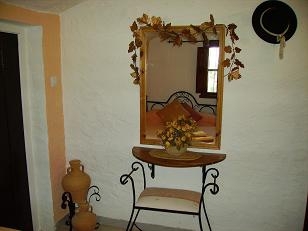 Our cortijo has been sympathetically restored to incorporate a blend of modern day comforts with rustic authenticity. 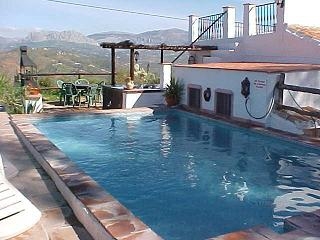 The property enjoys stunning mountain views and has several furnished sun terraces plus a large roof terrace, fabulous for plotting the stars and constellations with an after dinner drink! 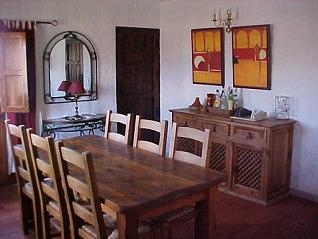 Further complimented by it's own private pool (6x4m) and BBQ area with sink and food preparation counter. Los Petates is designed to provide a comfortable base for a holiday which can be as energetic or as relaxing as you want it to be!